Our Club Platform has one goal: to make our clients' clubs the best managed and most successful clubs in their areas regardless of whether they are big or small. Our cutting-edge technology is designed to help clubs attract more members, serve members better, retain more members and reduce the admin hassle while they're at it! From Membership Management and Attendance Tracking, through to optional Direct Debit collections, Ecommerce Club Shops and a huge amount more. We believe that we not only have the best features, but that the Platform is also the best value. Successful clubs rely on the Nirius Platform to help them to blaze a trail. They are using our cutting-edge technology to out-compete their rivals. But don't take our word for it, read a client's thoughts. 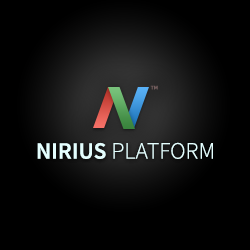 The Nirius Platform has a huge array of features that can enhance any club. You can see a full list by visiting the Club & Gym Edition page. We have teamed up with one of our clients - the stylish, fast-growing Italian sportwear brand Legea, to give clubs a truly incredible opportunity. You can have a professionally-run, club-branded, profitable shop with zero effort and, for a limited period, zero set-up costs! A professional team will process and fulfill your online orders, giving you satisfied customers and an increase in your club's revenue. With some of the best sportswear, technology and fulfilment processes available to even the smallest clubs, you'll kick yourself if you miss it!